BROUGHT together by a love of ’70s and ’80s disco and funk, No Hot Ashes say they’re aiming a contemporary new twist to the genre. singles, Eight Till Late and Skint Kids Disco, having had repeat airplay on Radio X and 6Music. 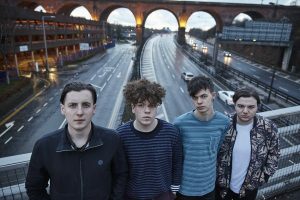 They have also amassed more than a million streams on Spotify and have supported the likes of Spring King, Blossoms, The Amazons and Prides. They’ll be headlining their own show at the Boileroom in Guildford on Thursday 9 August.